Jeff Smith is what most refer to as a Crazy Car Nut. 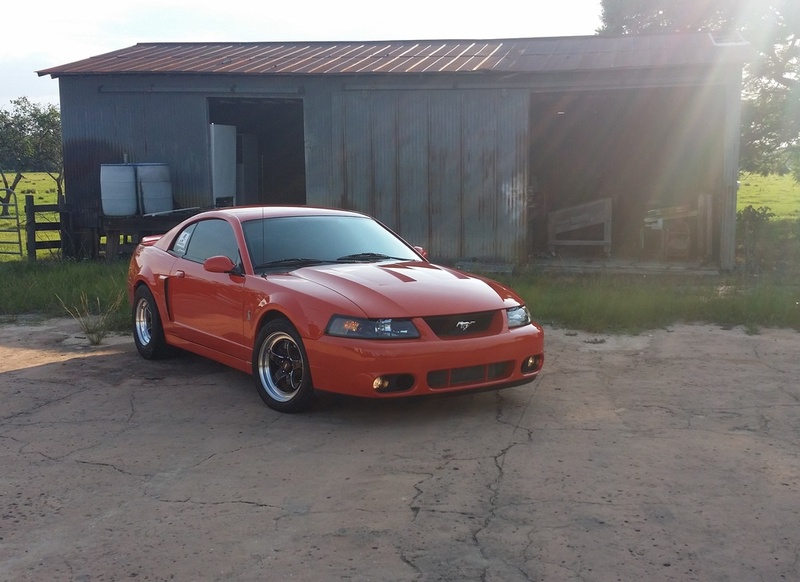 That's because what you see here is a a 1 of 281 Competition Orange 2004 Mustang Cobras built. What some may think is an outrage to race what could be deemed a rare car, is a dream come true to others. This car was bought from the original owner about 5 years ago with the intention of being a daily driver since it only had 14k miles on it. It was then determined that it was just too nice to have driven as a daily driver. So then you may ask Jeff "why would you turn a rare comp orange Terminator into a race car?" and Jeff's answer is pretty simple...He wanted to. Recently though Jeff had the very misfortune of having his home broken into and a lot of items were stolen. Luckily for him, this beauty was not one of them, as it was actually at the paint shop getting some TLC done. I am sure most of you are dying to know the details on this absolutely gorgeous machine so hold onto you hat and be ready to wipe up the drool. First and foremost the longblock is a stock OEM unit. 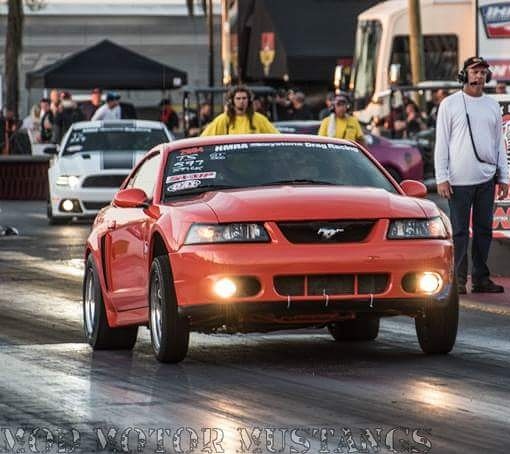 Jeff added a 2.3L VMP Supercharger along with a VMP slot MAF conversion and VMP also tunes the car. Air is sucked into this engine via a JLT Performance color matched, high boost intake while Metco Motorsports is the pulley of choice along with their idler brace. Monitoring all of that is Aeroforce Gauges, which is the only interior modification. 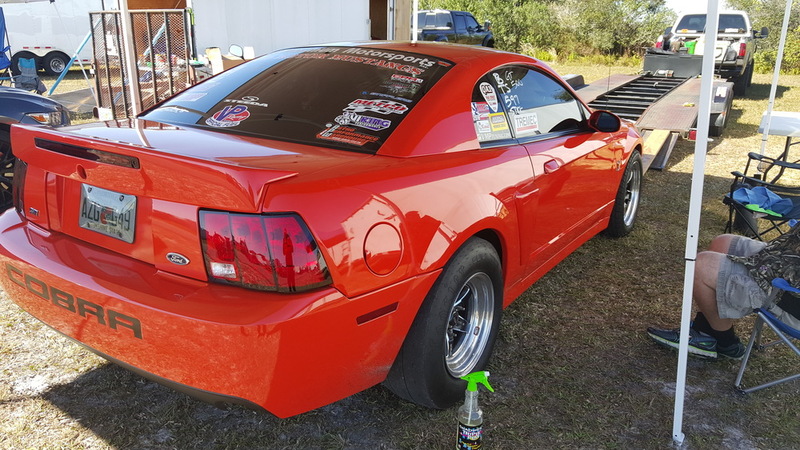 What you may find shocking since Jeff is located in Florida he utilizes only E85 for fuel in this monster as well. This is usually a trend found in the Midwest because of the abundance of E85 in that region. E85 for those that don't know is 85% ethanol and is usually equivalent to about 100-105 octane. To handle that corn power, Jeff uses a fuel system that was plumbed by CPR Racing as well as a host of Aeromotive pieces. The suspension and drivetrain are top notch as well on this Terminator. 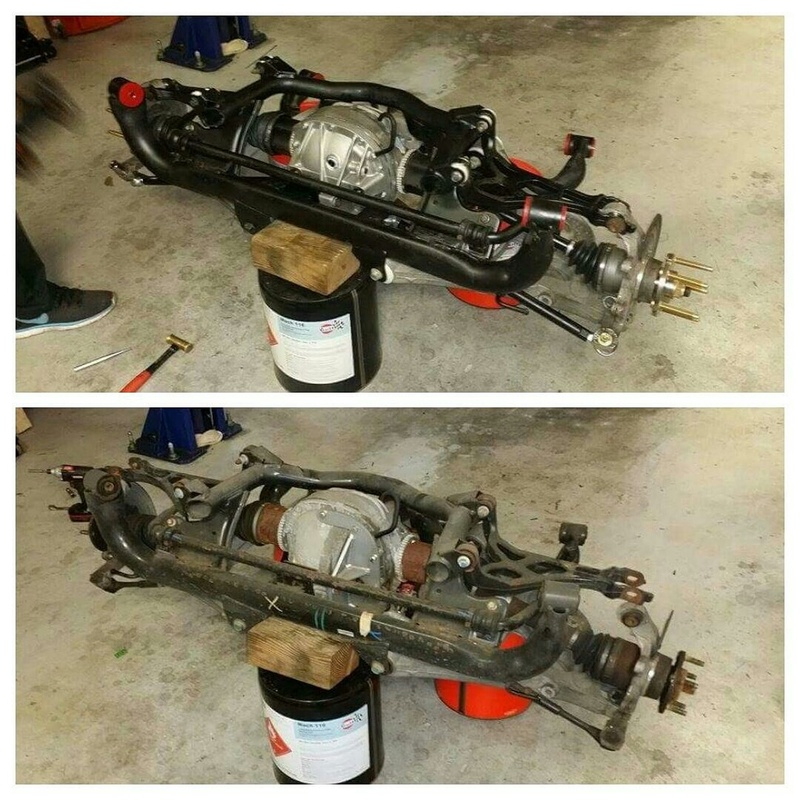 Jeff is using Maximum Motorsports 6pt rollbar along with a fully tubular front end and fully built IRS rear end. Yes you read that right, Jeff is still running IRS. The IRS is stuffed with Driveshaft Shop Level 5 halfshafts, Eaton Trutrac Differential, and Viking double adjustable shocks round out the suspension. Jeff is still using a manual transmission as well. Banging through the gears in his Astro Performance T56 Magnum transmission with a Mcleod clutch for 2016 as well as a RXT1200 & lightened steel flywheel. Connecting the T56 to the IRS is a Precision Shaft Technologies driveshaft. Making sure the shaft stays safe, he uses a Stifflers Driveshaft Loop. Rounding out the beautiful tone that this car makes is a set of Bassani Headers, X-Pipe, & 3" Exhaust. As you can see, Jeff keeps the car look immaculate as well. That is all done via Chadwicks Triple Play. 1st Nmra bradenton Stick Shift shootout in 2013.